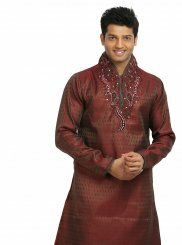 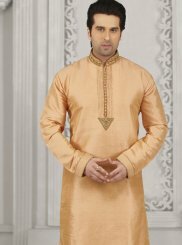 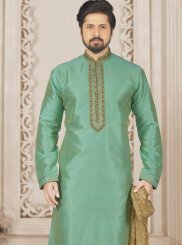 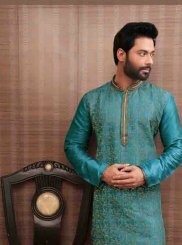 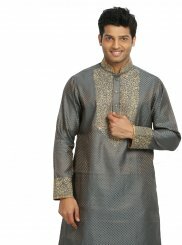 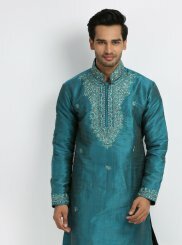 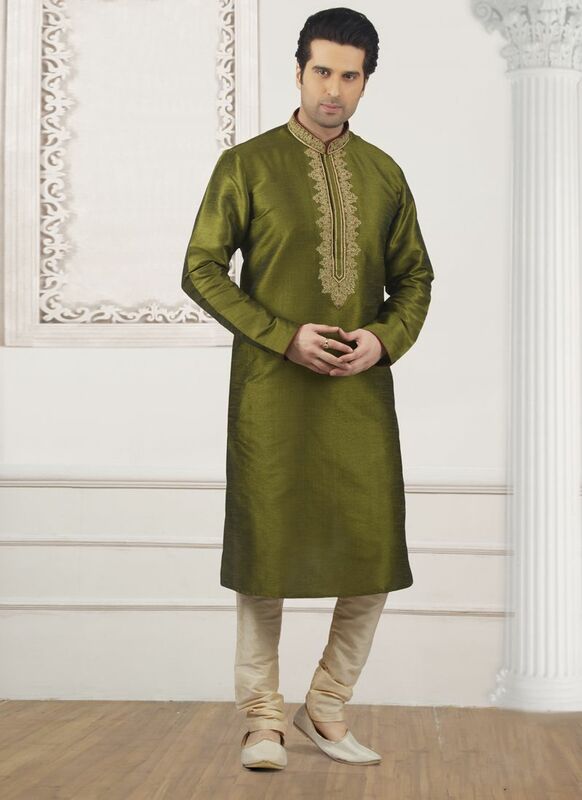 Congenial green color art banarasi silk kurta pyjama decorated with embroidered work is representing a royalty in itself. 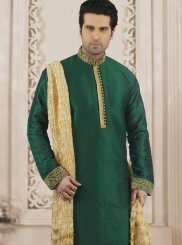 Comes with matching color. 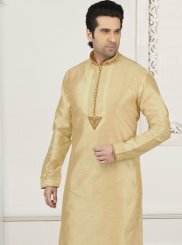 Style and luxury is specially created for your personality.